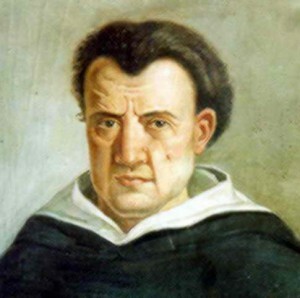 From an early age interested Tommaso Campanella interested philosophy, only that part, which defended the idea of goodness and justice, truth and the order of true humanism and humanity. Talk and business philosopher do every effort to adopt them in the civil practice, which received constant persecution by the clergy and by the government official with whom he entered into a citizen bitter struggle for liberation from oppression Southern Italy the Spanish monarchy. In 1598 he was arrested and sentenced to life imprisonment, there Campanella wrote most of his works, including translated into other languages of the world outstanding dialogue “Sun City”. 27 years behind bars significantly reflected philosopher health, and it broke his free spirit and humanistic character: the idea of achievement of a just political system in the works Tommaso Campanella not only theoretical but also deeply civil explanation, and highly moral justification. Tommaso Campanella has created dozens of works on philosophy, which partially were issued, partially disseminated in manuscript by Germany and other European population. He is the author of works in some areas of knowledge such as theology, ethics, politics, philosophy, martial arts, physiology and medicine, astronomy. Before the pen of the philosopher and include such works as “The philosophy proven sense”, “On the content of Things”, a book that became protection for Galileo, “City of the Sun, or Flawless Republic. Poetic Dialogue “. Philosopher beckoning to research comprehension of nature, says sholastyzovanoyi against medieval philosophy, disseminates cultural heritage of ancient philosophers. Nature, according to Tommaso Campanella, is “a sculptural likeness of God”; all things – animate; All they want to preserve my life and go back to the source, in other words to God. This desire, according to the philosopher is the basis of religion. The source is direct comprehension mastery of “human nature Code”; comprehension based on sensory experience. In ” City of the Sun “– tells administrator hotel navigator that returned from a far hike, these people have no homes, ground etc. no “idle and villains”; all people are working; all comprehensively developed – spiritually and physically; in this city ruling distributive equality; Each person receives for their needs. The city no families; women and men equally embody the military service; Society selects statesmen. The final role in organizing a decent life “solyariytsiv” took science and scientists who are linked with religion and the clergy. As a result of this connection consists magical cult of knowledge, attitude is – penetrates the mystery of the universe, man and society improves. Like Thomas More, Tommaso Campanella depicts a picture of unfulfilled ideal city where there are no people in their own homes and do not have personal family. The new community is justified labor, which is the most respect business. The work is not more than four years. The purpose of this community – earthly happiness “solyariytsiv” (the name of the town residents had) the principle of equality, welfare and flowering culture. Amazingly importance Tommaso Campanella gave flourishing engineering and science. It is considered as the main source flowering citizenship, based on changes in public relations. The most important role fell on training and education. Philosopher thought control community, which he said “communist”, is in possession of a scientist-priestly caste. In philosophical utopia Englishman Thomas More and Tommaso Campanella Italian a lot in common. First of all is the common idea of privacy socialization, more precisely, the idea of community based on the absence of private homes and more. This idea created by people’s lower ranks, met resistance of the great religious and bourgeois ideology. Just as each of thinkers who took up her more or less solid theoretical proof, suffered persecution and dissatisfaction of the “secular” and “spiritual” power.